Coming up against 4x World and Sunset Beach Pro Champion Kai Lenny (Naish) twice, James was able to just get the edge on the formidable Champion both times on his way to the Final, and find the diamonds in the rough to be able to finish in an impressive 2nd place at this all important opening event. There is no doubt that James is going to be a name to watch out for over the coming year, as he starts his year on a high here on Oahu’s Fabled North Shore. 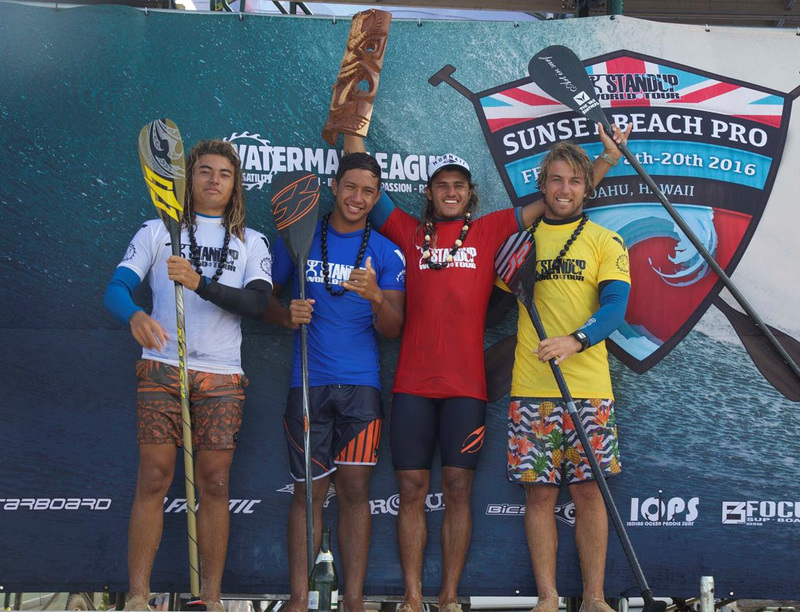 Poenaiki Raioha (F-One) is without doubt one of the major talents on Tour, finishing 2015 on a high with his first World Tour win at the US Open of Stand Up Paddling in Huntington Beach. Coming into 2016, Poenaiki and his Tahitian support group have their eyes set on the World Title and his surfing was a testament to this goal. Driving some of the most commited turns of the contest, Poenaiki posted excellent scores throughout the event and seemed to peak on the final day of competion with the highest heat score total of the day in the quarters as he took control of the challenging line up at Sunset Beach. While he wasn’t able to find the back up score he was looking for in the Final, his 3rd place finish is a great start to the new season, as he keeps his sights set on Title contention in 2016. Bernd Roediger (Naish) is another of the immensely talented breed of Maui born athletes who excel across the complete cross section of Ocean Sports, as a Champion Windsurfer and a major threat on the World Championship Surfing Tour and Racing Series for Stand Up Paddling. 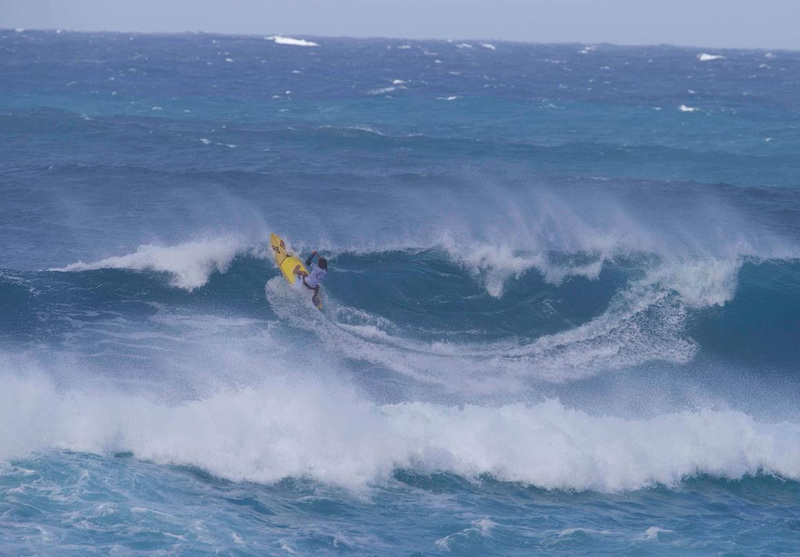 Finishing in the Top 10 in 2015 and posting some standout performances along the way, there is no doubt that Bernd has already established himself as a force to be reckoned with, but here at Sunset Beach, he was able to cement the fact that he is a major threat, and in any kind of conditions. 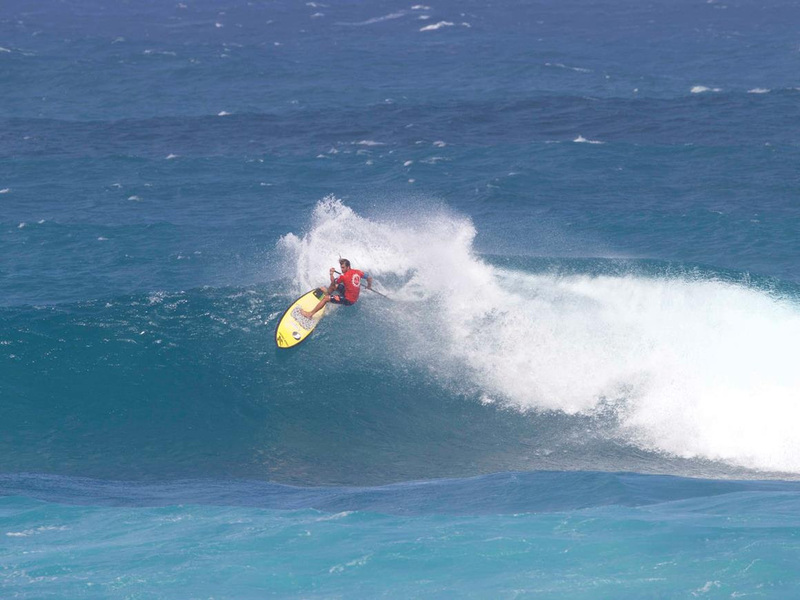 Bernd’s fluid and dynamic style of surfing turned heads throughout the contest and got him all the way to the final, and while he had to settle for 4th place, he has set himself up for a stellar year ahead as we expect great things from this young Maui talent. The 2016 Sunset Beach Pro presented by Turtle Bay is in the books, and was blessed with 2 of the best days of the year at Sunset Beach that saw performance levels go through the roof and new faces ascend to new heights. 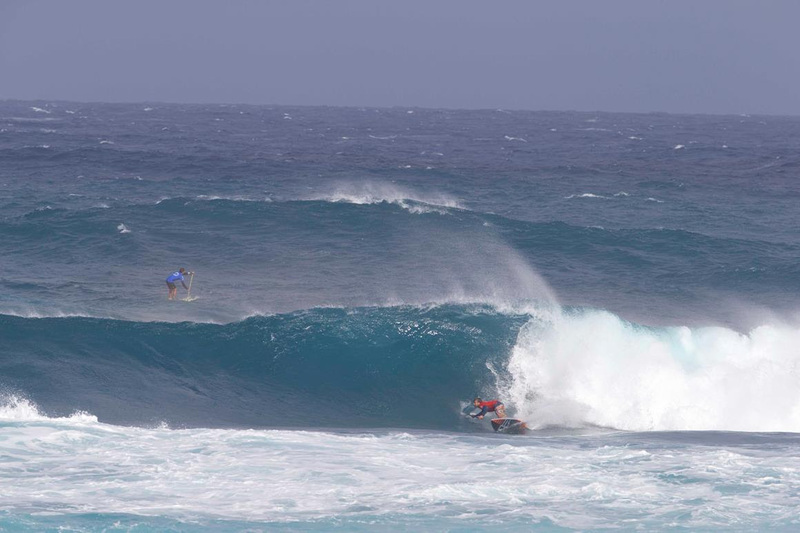 Watching James Casey (JP Australia) and Bernd Roediger (Naish) find their form at this opening event to make the final and turn heads from start to finish is an exciting sign of things to come. Also coming into their own were Noa Ginella (Naish) and Fisher Grant (27 North) who both made their way to the semi finals amidst a massively talented field. And from seemingly nowhere, a young Brazilian by the name of Marcio Grillo proved himself to be a major threat with a very complete game and an impressive ability to seek out barrels. Meanwhile, the primary contenders of the past year have not skipped a beat, with defending World Champion Caio Vaz (Art in Surf) on a mission to defend his Title, Poenaiki Raioha (F-One) continuing his rise to the top, and of course the on form Mo Freitas (Focus SUP), who was a standout over the first 2 days of competition. 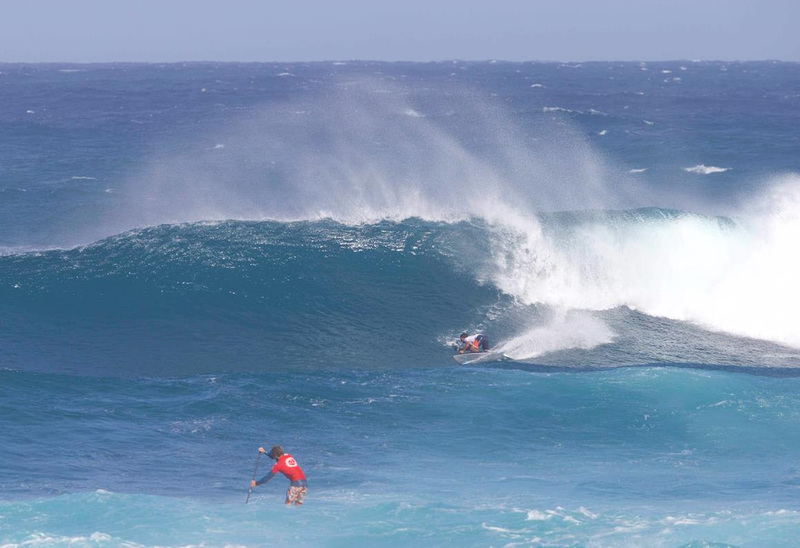 It should also be noted that 4 times World and Sunset Beach Pro Champion Kai Lenny (Naish) was very much on the pulse of all the action, narrowly falling to Poenaiki & James Casey (JP Australia) in the quarterfinals, not to mention Zane Schweitzer (Starboard) and an on form Kai Bates (Fanatic). One thing is for sure, it is going to be the most competitive year yet on the Stand Up World Tour, as the talent pool is expanding and the performance level accelerating. We are ecstatic to have been able to start the year off with the magic that Sunset Beach was able to provide us with and we look forward to the next stop on the 2016 Stand Up World Tour. Stay tuned for official Tour announcements over the coming week as we prepare for an exciting year ahead.